We will have none of this "smile for the camera while pretending to stir the ingredients so I can take a cute picture" stuff. Not in my kitchen. I like my helpers to be as serious about making the food as they are about eating it. 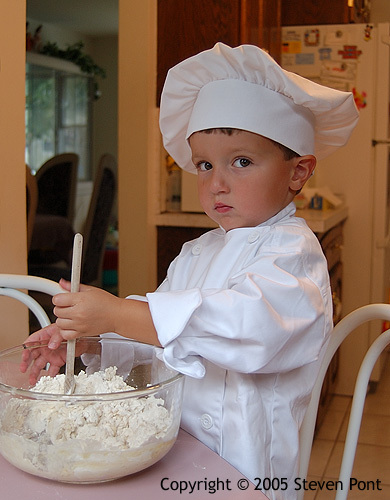 Michael does look really cute in that chef's outfit, but that's just a fringe benefit.